The international sign standard ISO 7010 has been adopted in the EU, becoming BS EN IS0 7010, and supercedes the old BS 5499. 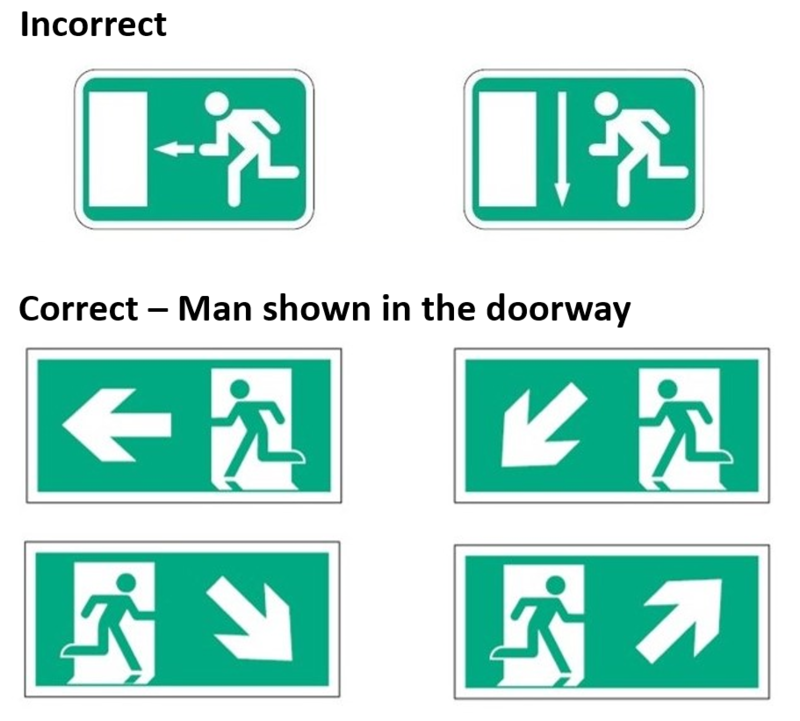 There are a few changes to the pictograms and in particular, the way in which a fire exit sign is laid out. Whilst there is no requirement to change old BS 5499 signs to the new BS EN ISO 7010 signs, you should not mix the two on any site. If you do need to install new signs, therefore, it is necessary to ensure that the existing signs are the same type. In particular, there has traditionially been a number of different ”acceptable” versions of the fire exit sign. There is now only one acceptable version, so it is worth checking that your signs comply.